Zehender was a German artist active between 1517 and 1535 whose biography is difficult to reconstruct due to the scant amount of available information. In 1529 he registered in the painters’ guild in Basel, obtaining citizenship that same year. Despite the lack of information to link him to that city, documents mention that he was from Grossmausdorf, a small town in northwest Germany (now Poland). In 1534 Zehender’s name again appears in the city archives along with that of his wife in reference to the fact that his properties were confiscated. He is last mentioned the following year among a list of fugitives. Gabriel Zehender has been associated with the Master Monogrammist GZ, an identification that is generally but not universally accepted. The works by that master consist of woodcuts in publications printed between 1517 and 1521 in Basel, Strasbourg and Hagenau, indicating that he probably lived and worked in the Upper Rhine area. This seems likely due to the nature of that master’s style, which combines clear influences of the work of Dürer but above all that of Hans Baldung Grien, who was active in Strasbourg. Zehender’s corpus remains largely incomplete. 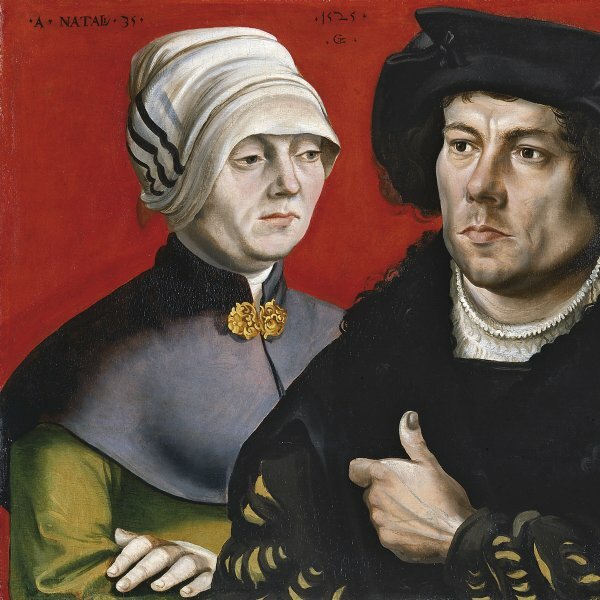 Portrait of a married Couple in the Museo Thyssen-Bornemisza, Madrid, is his only known painting.